When it comes to researching family history, maps can be valuable tools. Maps are critical to genealogical research. The Massachusetts Archives has published an eighteenth-century (1794–95) series of maps for the majority of Massachusetts towns, as well as a series originally done in 1831 that might be found in other libraries. Numerous town histories contain excellent maps that indicate dwelling places and owners at different points in town history. As with most New England states, an F.W. Beers Atlas for each Massachusetts county was published in the 1870s. Major research libraries have generally printed copies of these folio-sized maps, which indicate residences, owners, schools, roads, churches, and cemeteries. The series has been reissued by Piper Publishing, 13 Church Rd., Easton, CT 06612 in CD-ROM format. Excellent map collections of town lots and earlier land distribution exist at the Massachusetts Archives. 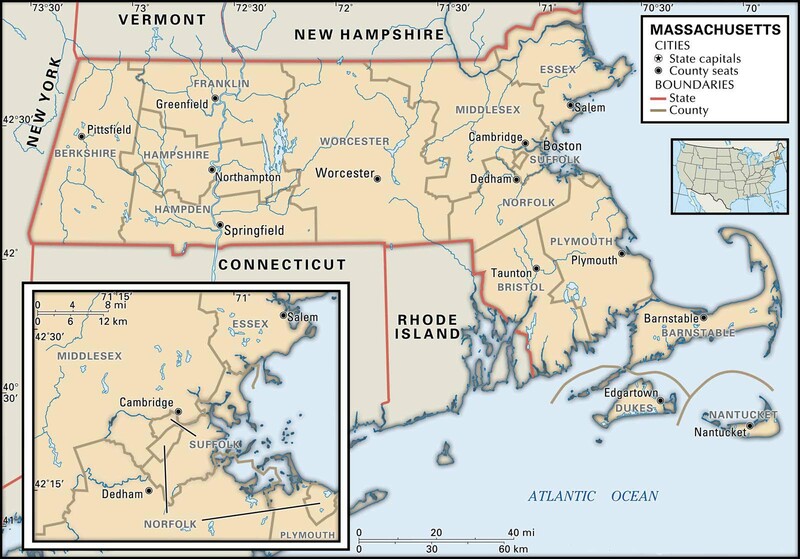 Good printed maps are available for research at the New England Historic Genealogical Society and many town offices. Saco Valley Printing, 421 Main St., Fryeburg, ME 04037 has printed versions of nineteenth-century maps for New England, such as the Beers collection, many including structures and owners’ names. Massachusetts 10 largest cities are Boston, Worcester, Springfield, Lowell, Cambridge, New Bedford, Brockton, Quincy, Lynn and Fall River. 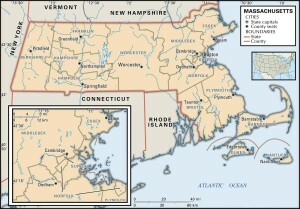 Learn more about Historical Facts of Massachusetts Counties.